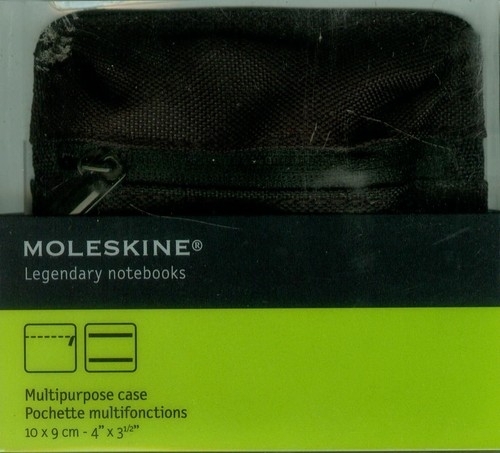 Make your organizers fit your style with the Moleskine Small Multipurpose Cases. These versatile storage pouches are fitted with Velcro at the rear to keep them attached to the terry fabric lining inside Moleskine bags and backpacks. Use the cases with the Messenger, Tote, Backpack, Utility, and Reporter bags. Each one is made from a durable polyester and has a zippered closure, and now are available in Black, Cerulean Blue, and vibrant Orange.